August was supposed to be a sleepy month in the high-yield debt market, but it turned out to be anything but quiet. 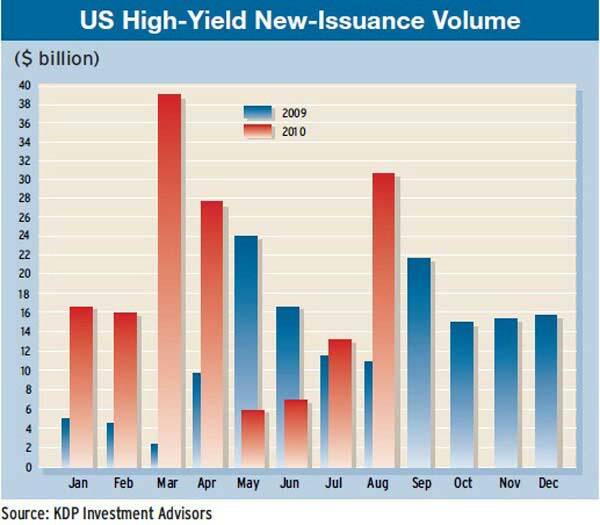 Total high-yield issuance in the US for the month was $30.8 billion, the highest since the record $38.5 billion in March, according to KDP Investment Advisors, based in Montpelier, Vermont. 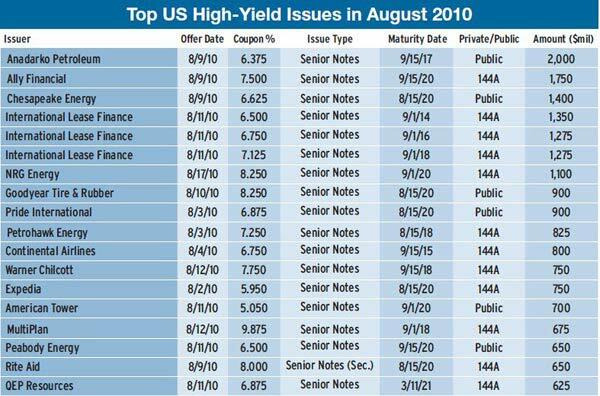 Nearly half of August's total high-yield issuance came in the week ended August 13, when companies sold $14.3 billion of bonds, the highest weekly total on record. Investors seeking higher yields than were available in the US treasury market rushed to buy debt from below-investment-grade corporations that were eager to improve their liquidity. International Lease Finance, the aircraft-leasing arm of American International Group, came to market with $4.4 billion of new debt sales on August 11, including $3.9 billion in secured debt and $500 million in unsecured bonds. Moody's Investors Service changed its outlook on International Lease Finance to stable from negative, as the company demonstrated its ability to sell the debt. With the capital markets shut to it last year, the company had no choice but to rely on borrowings from its parent, AIG. 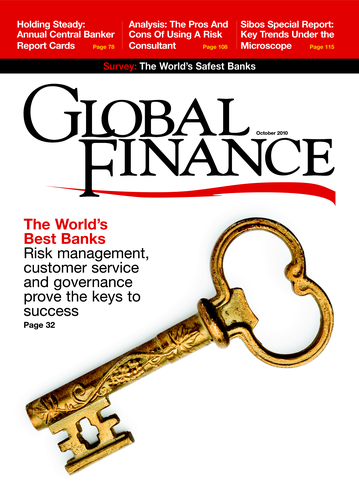 Since the beginning of 2010, International Lease Finance has raised $10 billion in financing through aircraft sales and secured and unsecured loans, as it has sought to improve its rating. It used the proceeds of its latest debt issue to pay back the Federal Reserve Bank of New York and free up collateral that can be pledged for future borrowing. Energy companies were among the most active issuers of high-yield debt in August. Houston-based Anadarko Petroleum, which owns a quarter of BP's blown-out oil well in the Gulf of Mexico, sold $2 billion of seven-year notes in the public market, despite a lack of creditor protection against claims stemming from the spill. Anadarko says it had no employees on the well and was a non-operating partner. NRG Energy, based in Princeton, New Jersey, privately placed $1.1 billion of 10-year notes with institutional investors. It plans to use the proceeds to finance its proposed $1.36 billion acquisition of five Dynegy power plants from Blackstone. Oklahoma-based Chesapeake Energy, the leading driller of natural gas wells in the US, issued $1.4 billion of 10-year notes and $600 million of 12-year notes in the public market. With the 10-year US treasury bond yielding about 2.75%, investor appetite for corporate debt is still robust, according to a report by the credit research department of Barclays Capital in New York. In the energy, pipelines and basic industries sectors, some issuers have entered the debt capital markets to refinance existing high-coupon debt, it says. These companies are often paying substantial premiums above par to tender for the secondary paper, Barclays Capital says.